By now, 91 percent of B2B companies use some form of content marketing and a full 56 percent consider themselves “very committed,” according to the Content Marketing Institute. That explains why industry movers and shakers are offering an increasing number of content marketing conferences aimed at helping them make the most of its possibilities. Why attend: More than 20,000 people attend the Digital Summit series spanning several cities. 2018 featured more in-depth sessions and workshops on digital trends. Portland’s Summit included Chelsea Handler and thought leaders from Netflix, Airbnb, Google, Amazon and more. View all Digital Summit event locations here. Why attend: “The world’s largest performance marketing conference and exposition” with over 2,700 leaders in performance marketing and lead generation. Don’t miss the LeadsCon Conference in Boston, Sept. 25-27, 2019. Why attend: “Multiply your skills with the latest thinking, newest developments, and most current examples of data enriched marketing. Whether you are an analyst or one who relies on analytics to excel in marketing, MEE is here to help YOU evolve as a professional. Peers and experts clarify how digital analytics, customer insight, and artificial intelligence are at work in marketing.” 2019 featured speakers include Rand Fishkin of Spark Toro and Andy Crestodina of Orbit Media, among others. Why attend: One-track conference full of “forward-thinking, tactical sessions in SEO, growth marketing, the mobile landscape, analytics, content marketing and more” from the company that dominates in helping businesses boost their search rankings with innovative tools and thought leadership. Why attend: Some 200 attendees and 2018 speakers from companies such as BuzzFeed, CNN, Jerry Media, Vice, Tastemade, the Wall Street Journal and more. The “premier event will feature exclusive talks, panels, and trend briefings from the world’s most sought after publishing, media, and online leaders – to guide you through the incoming ‘Digital Media Apocalypse. '” View all Summit events around the world from Innovation Enterprise here. Why attend: “Gain practical input and leverage the hive to help you work through actual solutions for your challenges.” 2018 speakers included executives from companies like NBC Sports Group, Intel, Spotify, Chobani and Edelman. Why attend: Some 6,000 attendees discuss the digital transformation of marketing, advertising, IT, services, etc. Past speakers include Hillary Clinton, Will Smith, Arianna Huffington, John Legend, James Corden and Queen Latifah. This year, Academy and Grammy Award-winner Jamie Foxx is part of the lineup. Why attend: About 1,000 attendees discover how to attract the right audience, align business models with the user experience, optimize the lifetime value of client relationships and get up to speed on the latest marketing technology. Why attend: The fifth year of CMC will cover “what’s new, what’s next, and what’s essential for content marketing success.” With 14 keynotes, 45 sessions, 9 tracks and 7 workshops, there is a lot to learn. 2018 speakers included Larry Kim of Mobile Monkey, Sarah Cooper of TheCooperReview.com, Andrew Davis of Monumental Shift, Ann Handley of MarketingProfs and others. Why attend: Confab draws more than 600 professionals from around the world who design, create and manage content. “From UX to storytelling, accessibility to structure, Confab brings together those who are committed to making content useful and usable.” (And there’s never a shortage of cake!). Check out highlights from the 2018 event. Why attend: Some 3,600 attendees are offered 120 sessions presented by experts from around the world, covering strategy, storytelling, ROI, demand generation, AI, etc. The 2018 event featured Tina Fey in a keynote Q&A. Plus, don’t miss the fun networking events like the opening night reception at the Rock & Roll Hall of Fame. 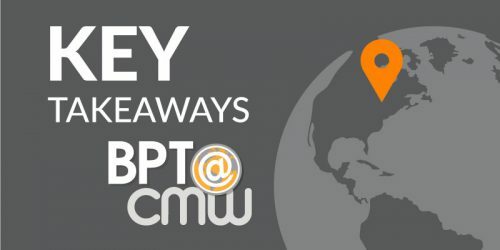 Read Brandpoint’s recap of the 2018 CMWorld event here. Why attend: For content strategists, documentation managers and senior content professionals who want to stay ahead of rapidly changing technology and customer demographics while connecting with vendors who can help with content challenges. Why attend: This event “brings together some of the most innovative brands, exciting start-ups and leading marketers that are driving creativity, using cognitive systems to leverage their brand engagement and building marketing strategies for tomorrow.” Speakers represent companies such as Google, Bloomberg, LinkedIn, Wall Street Journal and TripAdvisor. View all Summit events around the world from Innovation Enterprise here. Why attend: The performance marketing industry’s premier global event featuring high-level decision makers including online publishers, bloggers, media owners, traffic sources, advertisers, global brands, networks, technology firms, agencies, and other solution providers. Typically more than 6,000 attendees, 70 sessions, 100 expert presenters and 300 exhibitors. Check out Affiliate Summit events in other locations around the globe. Why attend: More than 1,000 participants in 2018, with more than 85 workshops and case study sessions. Speakers include the industry’s top marketing professionals including analysts, authors and B2B practitioners from companies like Facebook, BuzzFeed and LinkedIn. Why attend: Over 130 sessions covering a range of topics relevant to online commerce. With nearly 600 vendors, come ready to find solutions to help your business succeed in every facet.”This conference and trade show offers you everything your business needs to stay ahead of your competition, in one simple location.” Seth Godin was featured as the 2018 guest speaker. Why attend: Attendees learn about strategy, trends, storytelling, optimization, advertising, content, insights and more to help “take your brand to the next level.” The speakers are best-selling business authors, world-renowned experts, or up-and-coming mavericks, pushing the boundaries in their respective concentrations. Why attend: 30-plus sessions that feature a deep dive into the implications of serving business consumers via “transparency across sales and marketing, smarter technology, consistent messaging and account knowledge throughout the lifecycle.” Check out Forrester’s consumer marketing forum in New York. Why attend: The “place where leaders, innovators and people who make things happen gather to learn about the latest in B2B marketing and share the secrets to success as well as “belly laughs, creative networking, shenanigans and marketers’ off-the-clock antics.” 2018 speakers included Gopi Kallayil of Google, Nancy Durate, Kevin Carroll of Katalyst, Rashmy Chatterjee of IBM Cyber Security, among others. Why attend: Learn how to conquer your biggest media relations challenges, including coping with shrinking newsrooms and fewer beat-specific reporters, media relations measurement, the ROI of brand newsrooms, working with influencers and bloggers, the impact of AI, crisis communications and more. In 2018, experts in video production will uncover the best ways to leverage video for social media channels. 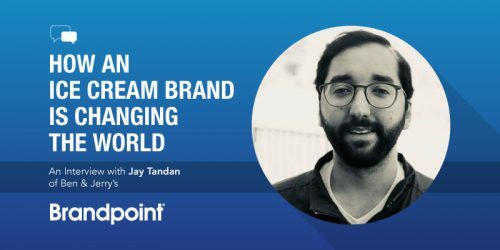 Use code BRANDPOINT for discounted tickets. Why attend: The event features best practices in social media marketing from successful brands. 2018 featured speakers including Intel, Ben & Jerry’s, GE Healthcare and many others. The event is also held in Chicago, April 30-May 2; and New York, Oct. 15-17. Why attend: SMW is “one of the world’s premier conferences and industry news platforms for professionals in media, marketing and technology.” This year’s theme is, “Stories: With Great Influence Comes Great Responsibility.” This theme will spark conversation throughout the week on how brands can take meaningful action to be more truthful and real in their content and communication. Why attend: With some 7,000 participants, bills itself as the industry’s largest social media marketing conference. Sponsor is considered the world’s leading online social media magazine for businesses, with more than 1.5 million monthly visitors. Why attend: “Sessions about everything from the future of content to delivering bottom-line value of social to the C-suite.” Speakers include award-winning artist and activist Common, and executives from brands including the NBA, NFL, National Geographic, Taco Bell, Charles Schwab, Facebook and more. Why attend: Formerly the Intelligent Content Conference, the refresh of this event will help senior marketing executives learn how to enable technology to improve processes to better execute their content strategy. The 2018 event drew 400 participants who learned from leaders representing Amazon, Google, Microsoft, Mayo Clinic, Cisco, Salesforce and others. Why attend: At this fifth annual event, more than 500 people will be updated on data-driven best practices research and new innovations across the B2B space. Breakout sessions with SiriusDecisions analysts cover niche topics and case studies. Related: The 2019 SiriusDecisions Summit in Austin. Editor’s note: Would you like your marketing event added to this list? Please only send annual, U.S. events. Send us an email for consideration. This post is regularly updated.